Did you know that we spend 90% of our lives indoors? However, studies have shown that we are generally happier when we’re outside in nature. Most employees that work in a typical office environment spend roughly 8 hours a day indoors without going outside for fresh air. This lack of exposure to the great outdoors has been proven to affect the overall health and well-being of today’s workforce. The latest trend in office design is focused on reversing the detrimental side effects of being cooped up by bringing the outside in. Biophilia is a scientific field of research that suggests humans possess an innate tendency to seek connections with nature and other forms of life. It is this overarching concept that has lead designers to begin incorporating as many natural elements in their projects as possible – such as green walls and natural wood and stone. 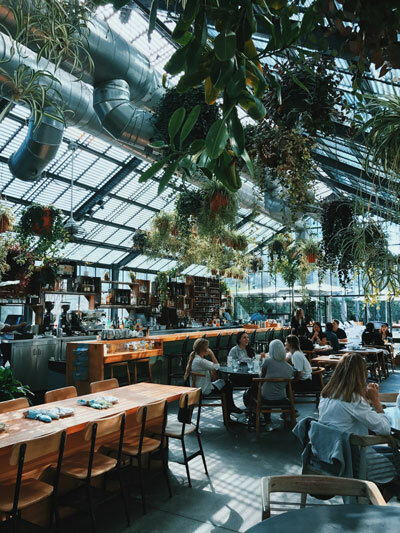 The end goal of biophilic design is to provide an environment that mimics the feeling of being outside, resulting in a plethora of positive benefits not only for individual employees, but the company overall. The articles and studies linked above are just a fraction of the countless examples of how office design containing biophilia can have a positive impact on organizations as a whole.